This inscription marked the columbarium niche of Aristarchus. He worked as a nomenclator, an announcer of names. 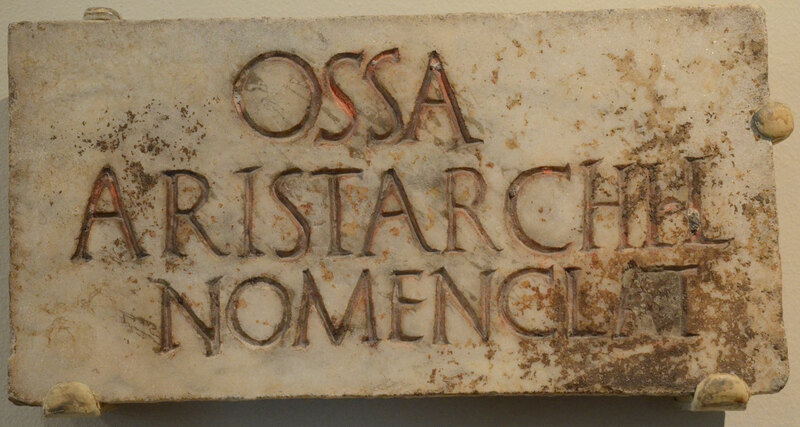 Influential men (patrons) in Rome often employed nomenclatores to announce the names of clients to them as they approached. H.L. Wilson, “Latin Inscriptions at the Johns Hopkins University IV,” American Journal of Philology 31 (1910), 25-42, 36.